Chocolate Brown Kelle Bag - Back by popular demand! 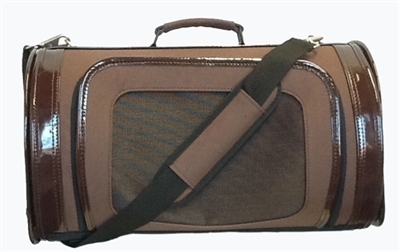 Durable brown fabric trimmed with shiny brown patent faux leather. Kelle Bag available in 2 sizes.